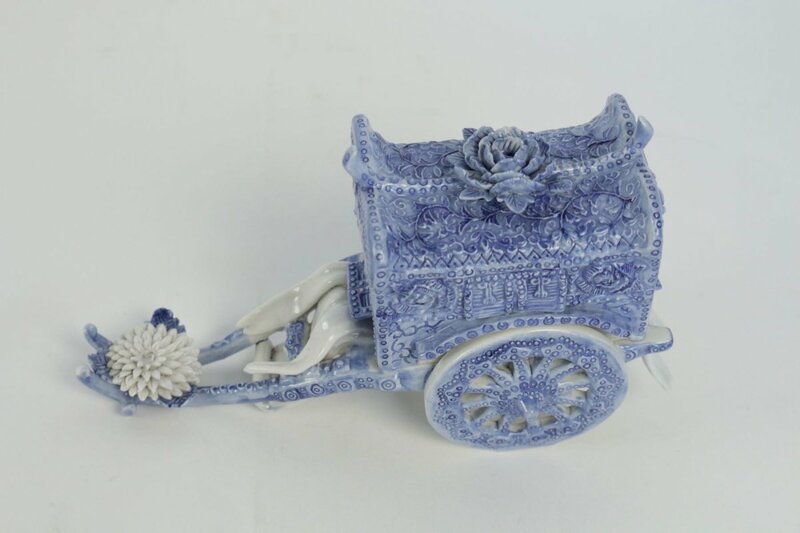 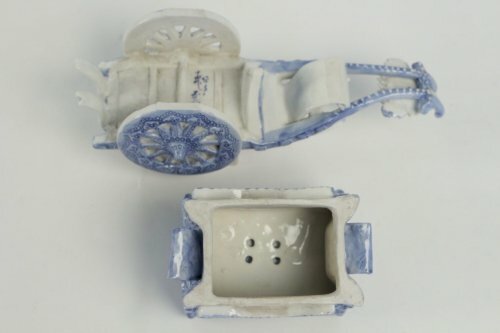 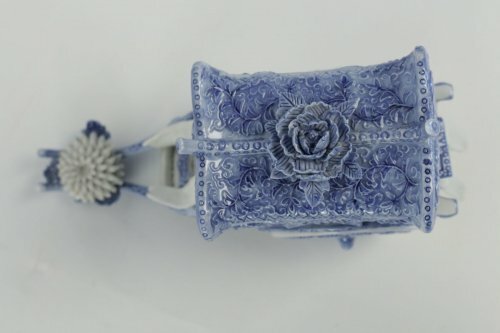 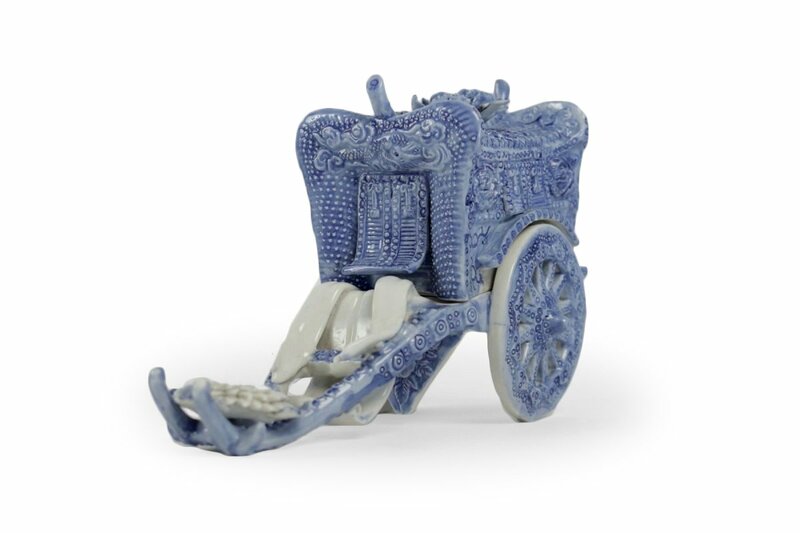 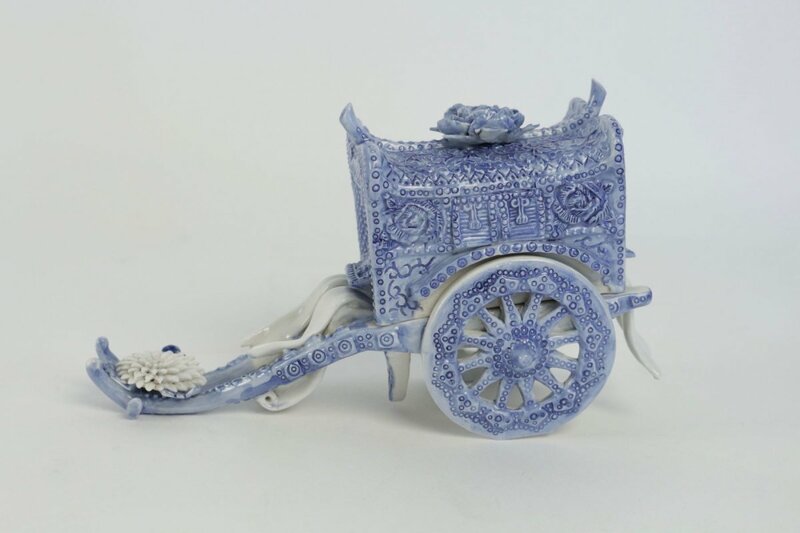 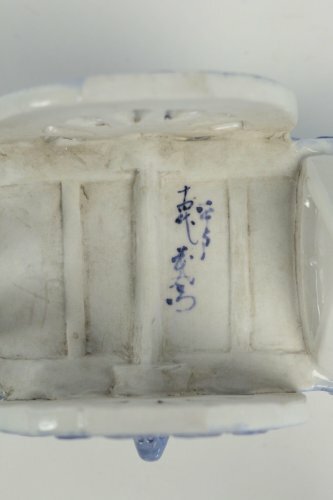 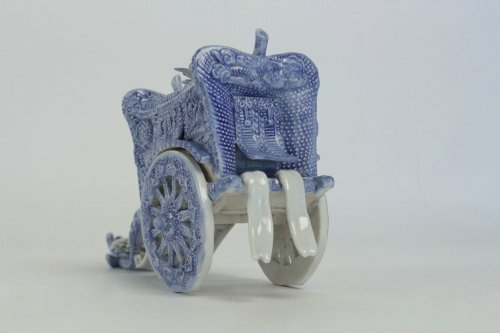 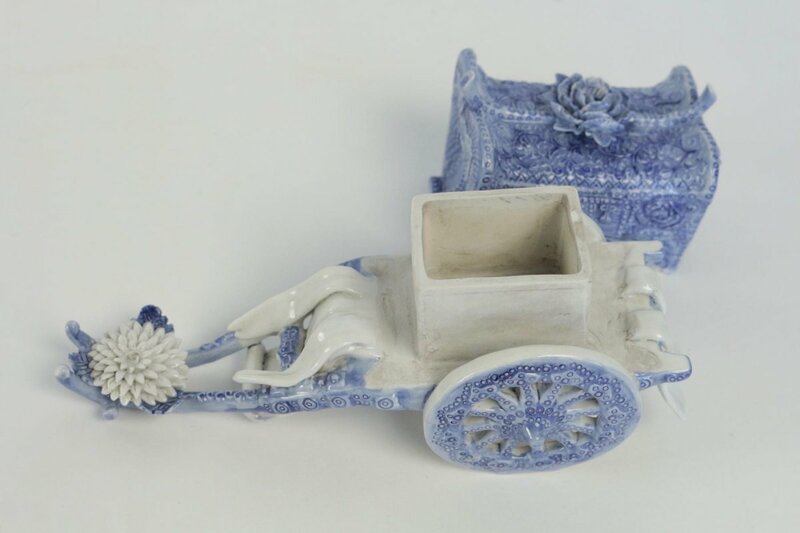 Very original porcelain carriage in the blue enamels characteristic of the Hirado kilns. 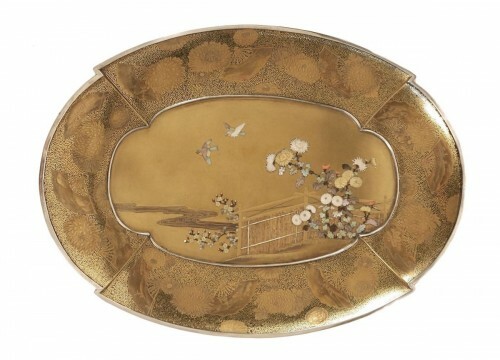 The central part decorated with a flower can be removed. 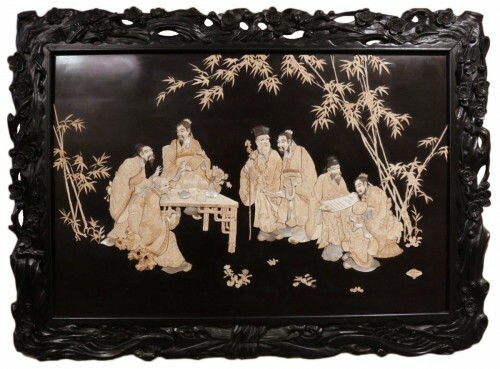 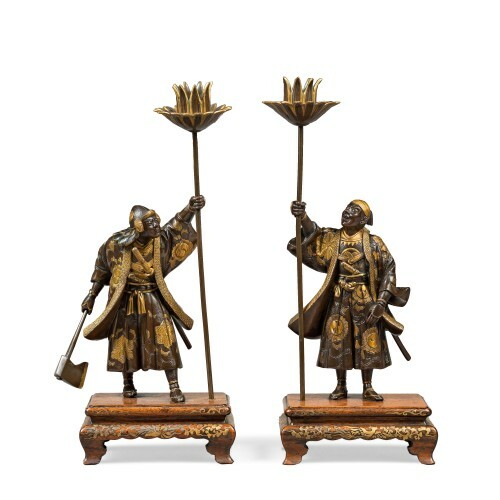 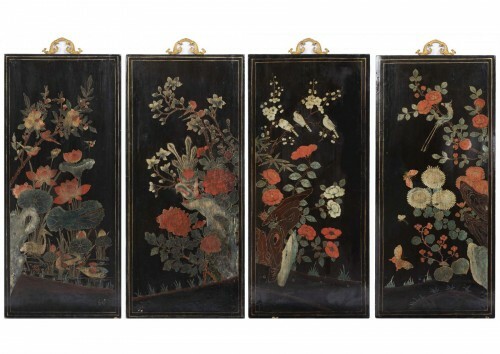 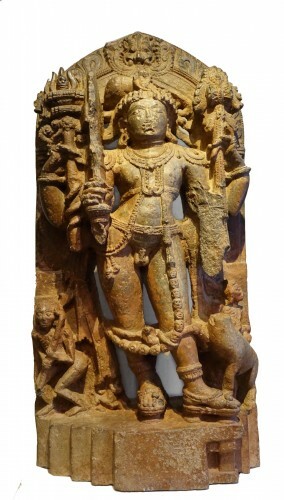 The entire decoration is extremely fine and in very good condition except for 2 restorations on the 2 hanging pieces and practically invisible to the naked eye at the back of the trolley. 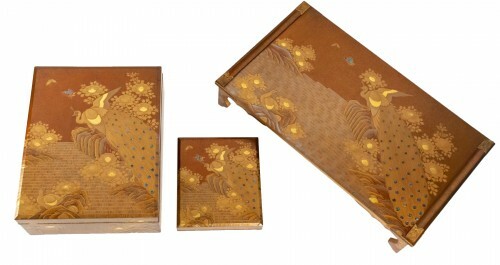 Dimensions 7.8"x2.7"xH3.9"